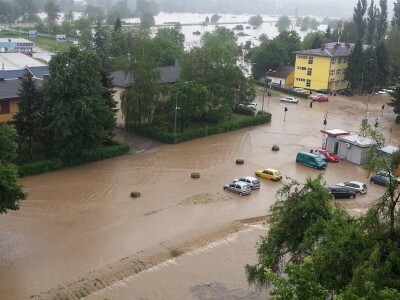 You are here: Home » BH & EU » The Programme for Prevention and Response to Floods under Way? The Programme for Prevention and Response to Floods under Way? The Programme for Prevention, Preparedness and Response to Floods in the Western Balkans and Turkey (IPA FLOODS), the regional initiative funded through the European Commission’s Directorate General for Humanitarian Aid and Civil Protection (DG ECHO) was launched in February 2015 and is currently in the early stage of its inception phase. IPA FLOODS has a budget of nearly six million Euro divided in two LOTs: 1.988.386,12 Euro in LOT1 for period 1 January 2015 – 31 December 2016 and 3.759.538,78 Euro in LOT2 for 30-month period. The goal of IPA FLOODS is to increase flood risk management capacities at national, regional and EU levels in the beneficiary countries: Albania, Bosnia and Herzegovina, Croatia, the former Yugoslav Republic of Macedonia, Kosovo*, Montenegro, Serbia and Turkey. To this purpose, the Programme supports capacity building for flood preparedness and response and approximation to the EU Floods Directive in the beneficiary countries. Since the beginning of February 2015 representatives from the IPA FLOODS implementing Consortium are conducting first visits in the beneficiary countries with the aim to provide a presentation of Programme components and approach to implementation and prepare the ground for cooperation with the main stakeholders involved. The Consortium is established by the Italian Civil Protection Department (DPC), as leader, jointly with the Administration of the Republic of Slovenia for Civil Protection and Disaster Relief (URSZR), the German Federal Agency for Technical Relief (THW), the National Protection and Rescue Directorate of the Republic of Croatia (DUZS), the Swedish Civil Contingencies Agencies (MSB), CIMA Research Foundation (Italy) and StudiareSviluppo (Italy). Meetings are taking place with national Disaster Management Authorities, agencies and institutions in charge of water management and/or of implementing measures for effective flood risk prevention, relevant regional initiatives and networks and EU Delegations and Offices to the beneficiaries. On 23 February the IPA FLOODS delegation met with representatives from the Protection and Rescue Sector of the Ministry of Security of Bosnia and Herzegovina, the Republic Civil Protection Administration of the Republic of Sprska, the Federal Civil Protection Administration of the Federation of Bosnia and Herzegovina and the Ministry of Foreign Trade and Economic Relations of Bosnia and Herzegovina in Sarajevo.